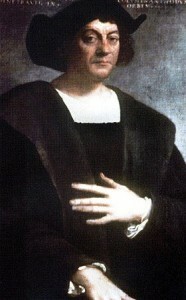 On Christopher Columbus’ second voyage in 1493, he returned to what is today the Dominican Republic bringing oranges, limes, citron, olive and walnut trees, wheat, rice, cinnamon, cloves, peaches, apricots, sheep, goats, cattle, pigs and . . . horses. Settlers used these horses in farming, gold mining and mercantile enterprises. Their descendents are today’s Paso Fino, a clever and planned mix of several Spanish breeds. It is the oldest native breed in the Western Hemisphere. Paso Fino translates as “fine step” in English. Its premier characteristic of a smooth and even gate was inherited from the now-extinct Spanish Jennet. Add to that the genes of the Spanish Barb for hardiness and the Andalusian for a natural presence , and you get a remarkably versatile horse—much like the Morgan, but more so. Do you want a no-bounce ride? Then the Paso Fino is your horse. Its trail gait is a corto, which is comparable to a trot in other horses. Its four-beat lateral gait gives a smooth ride unparalleled by other breeds. 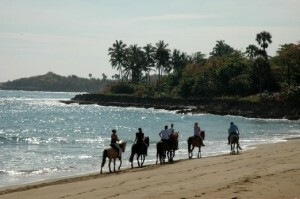 Consequently, it can travel at this speed for hours covering distances quickly with no discomfort for the rider or horse as the group of riders in this photograph are doing who are traveling the eight miles of trails through woods and beach at Sea Horse Ranch in Cabarete. Because of its smooth ride, it is an excellent choice for people with back, neck and arthritic pain. For this very reason I learned to ride a second time on these at the instruction of Daniel Grey at Rancho Lobo Gris in Sosua with my painful lumbar. Daniel has also become well-known for his work with the handicapped with horses at his ranch in Colorado. In addition to trail riding, the Paso Fino can be trained for other uses. Its compact size, for ease of mounting and dismounting, comes in handy on ranches and bird dog work. The Paso Fino is used at ranches in South America and is prized for its versatility, endurance, beauty and smooth, natural gait. One of the best stable facilities in the Caribbean is on the Dominican Republic’s north shore at the gated community of Sea Horse Ranch in Cabarete. It boards Paso Finos, Quarter Horses, thoroughbreds and ponies for the kids. 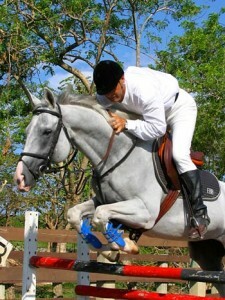 It is has 16 spacious, airy stalls, a riding ring and corrals for jumping and instruction. Boarding horses include veterinary services, daily grooming services, weekly training, shoeing services and overall care for your horse in your absence. Sea Horse Ranch also has a world-class tennis facility, beaches and beach-side pools among the trees next to an ocean-front restaurant serving international cuisine. Windward House is a 7000 square foot (700 m2) villa in Sea Horse Ranch, an exclusive, sea-side, guarded and gated community of winding, tree-lined country roads in Cabarete, on the north shore of the Dominican Republic. Windward House is a turn-key opportunity. Completed in 2009 it is designed by award-winning American architect Eric M. Urbahn. It has a heated pool and Jacuzzi, terraces and a waterfall. Furniture and gourmet kitchen appliances come from all over the world giving the house a unique elegance with an eclectic and international atmosphere without neglecting the openness of the interior to catch the sea breezes. It is characterized by curving stairs to the upper floors, of which there are three, 15 foot common-area ceilings, in and outdoor kitchens, wine room, laundry room, staff apartment and a two-car garage with a storage loft. All together, a first-class home. For your piece of real estate in the Caribbean, go to the Sea Horse Ranch property.